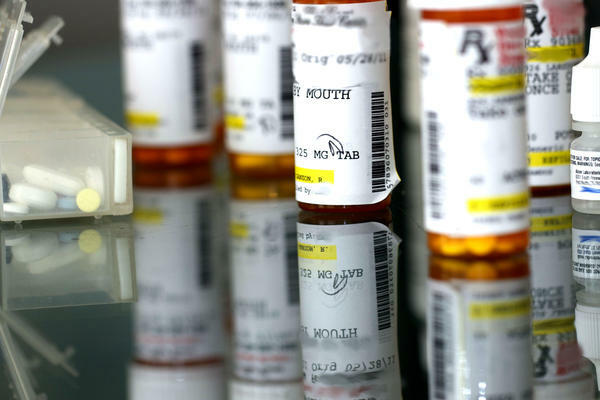 Pharmacy-benefit managers for the state-employee health insurance program are challenging an attempt to require them to repay $39.2 million to the Florida Department of Management Services. Medco Health Solutions, Inc. and Express Scripts, Inc., which are subsidiaries of the same holding company, have filed a series of legal petitions that were sent this month to the state Division of Administrative Hearings. The documents indicate the Department of Management Services is seeking to recoup $39.2 million in what it considers "plan overpayments" and that it decided to withhold payments to the companies as a result. Medco Health Solutions entered into a contract in 2011 to manage prescription-drug benefits for state employees and in 2012 was acquired by Express Scripts Holding Company, according to the documents. Pharmacy-benefit managers analyze prescription-drug requests and determine whether they should be filled. The department alleges, at least in part, that the companies refilled prescriptions too soon, according to the documents. Refilling prescriptions before necessary can increase costs. Medco Health Solutions and Express Scripts dispute the allegations and that they should be required to reimburse the department. "(Even) if the department were correct that refills were filled too soon, the remedy is not for Express Scripts to reimburse the department for the total costs of these prescriptions,'' company attorneys wrote. "The department is not asserting that the refills should have never been provided, just that they were provided a few days early. The members still received their proper medications; still used their medications; and it is only proper for the state to continue to pay for those proper medications."